From November 2nd to November 8th, I was handling the LTS frontdesk, triaging new CVE, filing bugs, and ensuring timely answers on the mailing list. I pushed 26 commits to the security tracker. While investigating CVE-2015-7183 I discovered more embedded copies of nspr (which resulted in #804058). I also commented on the upstream fix for CVE-2015-5602 which looked like insufficient. Prepared and released DLA-339-1 on libhtml-scrubber-perl fixing one CVE. Prepared and released DLA-350-1 on eglibc with a non-trivial backport fixing one CVE. Prepared and released DLA-353-1 on imagemagick fixing two security issues without CVE yet (and marking one as not-affecting squeeze). Added a third patch after review by the upstream author on my still pending bouncycastle update. The upstream author asked me to further defer the update as they have some related fixes coming up. I did preparatory work for DLA-352-1 by identifying the upstream commits that fixed the security issue. 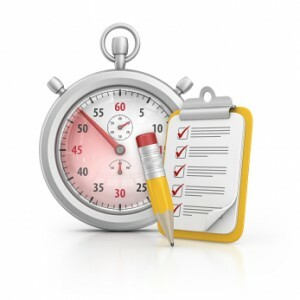 I spent some time checking issues that have been assigned for a long time without any visible progress being made in the hope to unblock them (libvncserver, pound, quassel). 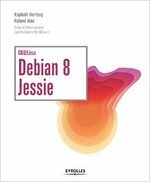 Now that the English version has been finalized for Debian 8 Jessie (I uploaded the package to Debian Unstable), I concentrated my efforts on the French version. The book has been fully translated and we’re now finalizing the print version that Eyrolles will again edit. On November 18th and 19th, I was in Paris for the Paris Open Source Summit. 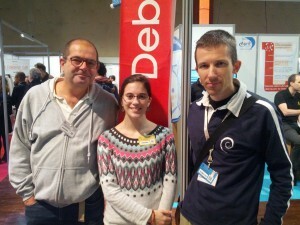 I helped to hold a booth for Debian France during two days (with the help of François-Régis and several others). 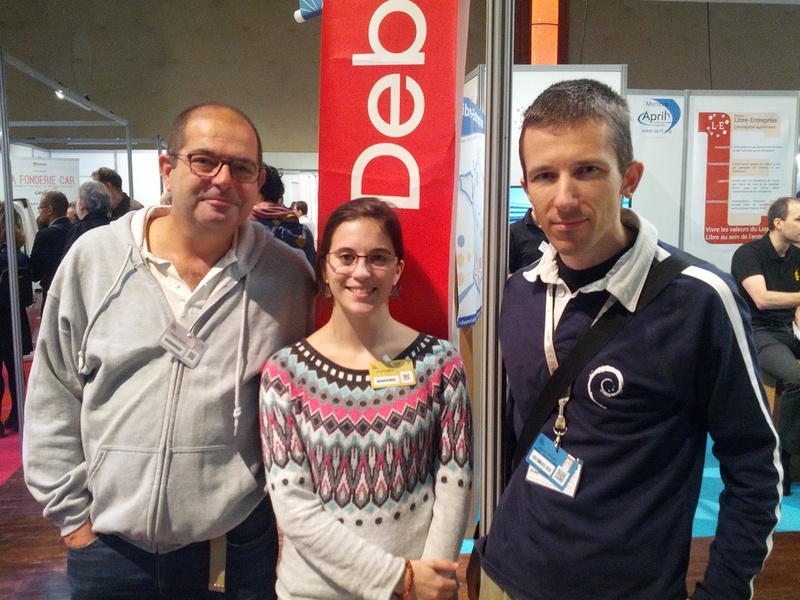 On the booth, we had the visit of Juliette Belin who created the theme and the artwork of Debian 8 Jessie. We lacked goodies but we organized a lottery to win 12 copies of my French book. Django. After two weeks of preparation for revers dependencies, I uploaded Django 1.8 to unstable and raised the severity of remaining bugs. Later I uploaded a new upstream point release (1.8.6). I also handled a release critical bug first by opening a ticket upstream and then by writing a patch and submitting it upstream. I uploaded 1.8.7-2 to Debian with my patch. I also submittted another small fix which has been rejected because the manual page is generated via Sphinx and I thus had to file a bug against Sphinx (which I did). A work-around has been found in the mean time. apt-xapian-index NMU. A long time ago, I filed a release critical bug against that package (#793681) but the maintainer did not handle it. Fortunately Sven Joachim prepared an NMU and I just uploaded his work. This resulted in another problem due bash-completion changes that Sven promptly fixed and I uploaded a second NMU a few days later. Misc. I fixed bug #804763 in zim which was the result of a bad Debian-specific patch. Distro-Tracker. I finally merged the work of Orestis Ioannou on bug #756766 which added the possibility to browse old news of each package. Debian Installer. I implemented two small features that we wanted in Kali: I fixed #647405 to have a way to disable “deb-src” lines in generated sources.list files. I also filed #805291 to see how to allow kernel command line preseeding to override initrd preseeding… the fix is trivial and it works in Kali. I just have to commit it in Debian, I was hoping to get an ack from someone in charge before doing it.